Please, verify my torrents Thank you! [quote=bigboy12] [size=4][color=green][i]Welcome to TGx apkgod :)[/i][/color][/size] [/quote] [quote=zeke23] lets go folks a good day to upload join us:) [/quote] Thank you! 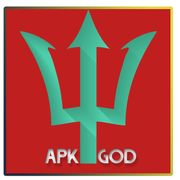 I will upload applications for Android, Windows & Mac & More Stuff... My 1337x Uploader Profile: https://1337x.to/user/apkgod/ Thank you!